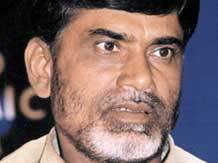 After a five-year delay over land-related issues, the present Andhra Pradesh government led by chief minister N Chandrababu Naidu has decided to revive the Machilipatnam port project by giving a 36-month extension to Navayuga Engineering Company-led Machilipatnam Port Limited to execute the project. The port project was awarded to Navayuga in 2010 after the previous consortium headed by Satyam's Ramalinga Raju-promoted Maytas failed to achieve the financial closure in two years time. In April 2010 the then government of the undivided AP transferred the shareholding of the previous consortium members in the SPV upon their exit, including that of Maytas to Navayuga. Some time later the then government had initiated land acquisition in favour of the port project amid frequent issues. The state government on Saturday said it would facilitate the acquisition of the balance 300 acres out of the total 5,327 acres of land meant for the port development in favour of Machilipatnam Port Limited. It also said the project concessionaire would get another 36 months tine for the execution of the project. The government has already issued orders for acquisition of the balance extent of land for the port project. In spite of the delays, the government's latest decision comes as a shot in the arm for the port developer as 'Amaravathi', the upcoming new city of Andhra Pradesh is closer to Machilipatnam than the other operating ports of the AP sea cost, adding further to its future viability. Besides, Machilipatnam is also closer to the new state of Telangana. "Machilipatnam port will cater to the two capital cities, both Amaravathi and Hyderabad," C Sashidhar, director of Navayuga Group and managing director of Krishnapatnam Port Company Limited said to this reporter recently while underlining the strategic location of the new port. The Telangana government too had evinced interest in investing in this port facility as Machilipatnam is the only port closer to this land locked state. In fact it was a major port of Kakatiya dynasty and of the Nizam rulers. Earlier the project was proposed with two berths expandable up to 12 berths with a cargo handling capacity of 7 million tonnes in phase-1 and 13 million tonnes in phase 2, at a total cost of Rs 1,590 crore. The project was awarded on a Build Own Operate and Transfer (BOOT) basis for a concession period of 50 years. Machilipatnam is located mid-way between Kakinada port on the north, and Krishnapatnam port on the south.